Bessler interweaves the powerful life stories of death row prisoners, his own experiences as a pro-bono attorney on death penalty cases, and historical perspective to persuade the reader that state-sanctioned executions must be abolished in the US. As the struggle over capital punishment rages on, twelve states have taken bold measures to eliminate the practice. This landmark study is the first to examine the history and motivations of those jurisdictions that abolished capital punishment. Greg Lastowka illustrates the real legal dilemmas posed by virtual worlds. He explains how governments are responding to the chaos in the cyberspace. He explores how laws of property, jurisdiction, crime, and copyright, pave the path of virtual law. The Indigo Book covers legal citation for U.S. legal materials, as well as books, periodicals, Internet, etc. An open and compatible implementation of the Uniform System of Citation for legal research, this volume is in the public domain. Do animal rights as a practical and legal activity. Topics include: major problems that humanity is causing animal life; moral philosophy underlying animal rights; major methods of campaigning, practical activities for promoting animal rights; etc. Understanding the terrain of mental incapacity in criminal law is notoriously difficult; it involves tracing overlapping and interlocking legal doctrines, current and past practices. This book provides a close study of mental incapacity defences. To understand how the legal system works, students must become literate in the field. The book fulfills this aim by providing the key concepts such as legal personhood, jurisdiction, and precedent, and by introducing students to legal research. 'Criminal Law' begins with the foundations of law and the legal system and then extensively explores criminal laws and defenses using general state principles, federal law, the Constitution, and the Model Penal Code as guidelines. This book is the third edition of a basic income tax text, revised for the 2015-2016 academic year. It is intended to be a readable text, suitable for a three-hour course for a class comprised of law students with widely different backgrounds. This Casebook is intended to be used in an upper-division course covering the First Amendment to the United States Constitution. The Casebook is organized with the Speech Clauses as Part One and the Religion Clauses as Part Two. This text introduces first-year law students to the new kind of research required to study and to practice law. It seeks to demystify the art of legal research by following a 'Source and Process' approach. The book focuses mainly on the basics. For students who expect learning to be comprised not only of substance, but also of interactive exercises and multimedia. It streamlines the presentation of material to ensure that every page is relevant, engaging, and interesting to undergraduates. Up-to-date textbook that covers legal issues that students must understand in today's business environment. It covers contracts, consumer credit transactions, bankruptcy, intellectual property, securities regulation, regulation of real estate, etc. The book provides students with context and essential legal concepts relating to the Uniform Commercial Code and various aspects of property law. Appropriate for students who have already taken introductory Legal Environment or Business Law course. An overview of the legal system in the United States. It is designed for learners who have little familiarity with U.S. law. Topics include federal and state court systems, civil and criminal litigation processes, and ethics in the legal profession. In this book, Roy Goode examines some of the key issues shaping commercial law as we move into a new century. His stimulating re-analysis of fundamental legal principles raises a series of critical questions about the future direction of the law. Smith considers a subject of great importance to the criminal law, both as an academic topic and in the context of the problems faced by the citizen confronted with a choice between breaking the letter of the law, or seeing others suffer harm. This is a short article on the different ways to protect your house against armed robbers. Written for the South African market it may sound extreme to the rest of the world but gives valuable guidance which is applicable everywhere. This primer provides basic information about product liability laws and legal procedures in product liability lawsuits in the United States. It also suggests measures that you can take to reduce your product liability exposure. The Principles of Federal Appropriations Law is a multi-volume treatise concerning federal fiscal law. The publication provides text discussion with reference to specific legal authorities to illustrate the principles and their application. This book may serve to help you to have a better understanding of our legal system and its many problems; and it may, too, lead to the conclusion that you are indeed privileged to live under your own constitutional and legal system. This book is about the way defaulters are treated by their bank once they fall on hard times and cannot pay the instalment anymore. There are many legal rights which offer protection against abuse and this book explains them all in clear English. BCG Attorney Search's Recruiters answer commonly asked questions about the legal field. Most of these are questions relating to making a lateral move, work-life balance, interview tips, careers moves for recent graduates and other common questions. This text is an up-to-date textbook with comprehensive coverage of legal and regulatory issues. The authors take special care to engage students by relating law to everyday events with which they are already familiar with their clear style. I have not attempted to treat the subject in any scientific, elaborate, or exhaustive way; but merely to make some suggestions upon the art of cross-examination, which have been gathered as a result of twenty-five years' court practice. What are the privileges and responsibilities of a free press? In Media Law Handbook, Professor Jane Kirtley, Silha Professor of Media Ethics and Law at the University of Minnesota, explores how free societies answer this question. This Outline covers the history and organization of the federal and state judicial systems; the criminal and civil court processes; the qualifications and selection of federal judges; the role of other participants in the judicial process. The purpose of this volume is to furnish to the lawyer, legislator and student a working summary of the marriage and divorce laws of the principal countries of the world. Our endeavour is simply to set forth positive law as it exists today. The book addresses a broad range of pedagogical issues in the context of legal education: the teaching and learning environment, course and class planning, questioning and discussion techniques, visual tools, experiential learning, computers, etc. An accumulation of notes on old-time laws, punishments and penalties. The subject is not a pleasant one, though it often has a humorous element; but a punishment that is obsolete gains an interest and dignity from antiquity. It is unquestionably a generally accepted principle that it is better that ninety-nine guilty men should escape than that one innocent man should be convicted. This book presents a guide to procedures and practices in criminal courts. 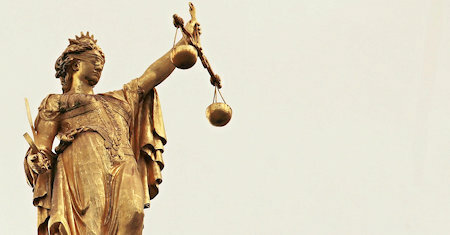 The celebrated American sociologist Charles Murray provides an uncompromising restatement and defence of the backward-looking, retributive justification of criminal punishment. He also makes an impassioned plea for England to revert to this approach. During the past forty years, activists have used the court system to accomplish results that could not otherwise be obtained through the ordinary political processes. The authors show how legal decisions undermined America's sovereignty and values. The memorandum presents the results of the Office of Technology Assessment (OTA) review of the scientific evidence on the validity of polygraph testing. OTA concluded that there is very little research evidence to establish polygraph test validity. This text was developed by the Administrative Office of the US Courts to provide an introduction to the federal judicial system, its organization and administration, and its relationship to the legislative and executive branches of the government. What actions should be punished? Should plea-bargaining be allowed? How should sentencing be determined? In this original, penetrating study, Mark Tunick explores not only why society punishes wrongdoing, but also how it implements punishment. A concise comparative introduction to the practice of law in a number of countries: England, Germany, Japan, Venezuela, and Belgium. These essays guide readers through the differing worlds of civil and common law, and law in Europe and Asia. The purpose of this guide is to provide States with benchmarks for drafting hate crime legislation within a simple, clear and accessible document. It will also be a resource for civil society when advocating for better laws. This free textbook shows the reader where in the IT-based business legal problems are likely to arise. The author aims to give computing students that kind of broad level of understanding of the law applicable to IT sector. A reference work that surveys the entire literature on law and economics in over 3,000 pages. The entries consist a review of the literature and a bibliography which covers most of the published material in the particular area. Lucid and highly readable overview of a difficult and little understood aspect of Greek history: its public law, not just how it was structured but how it behaved in action. Perfect for university students and amateur historians.